TVR Shirts in - hurry! We've managed to score a small batch (less than ten) of TVR shirts designed by TVR maven Nicky Thompson (aka Amazon). For all we know these might be the last ones and they're heavily discounted, too! 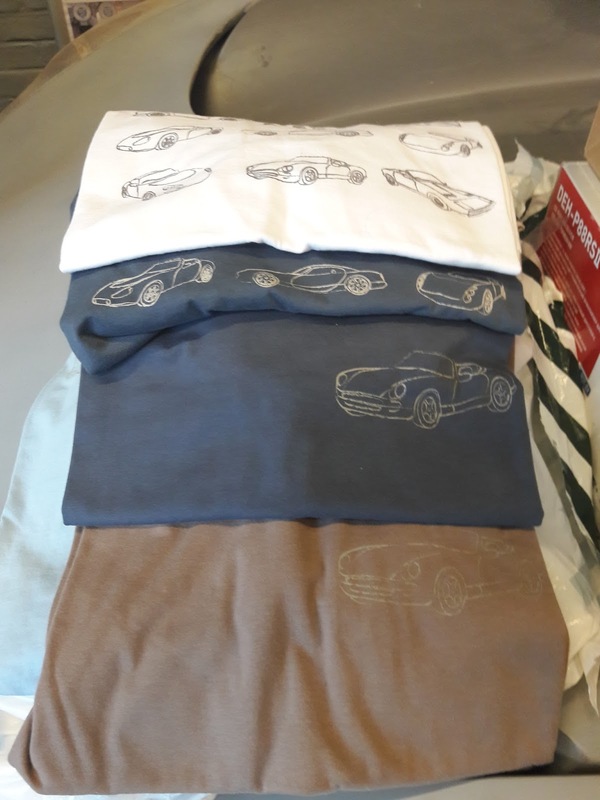 We've got Chimaera-, Cerbera- and Tuscan-themed shirts as well as multicar ones; short and long sleeve T-shirts and sweaters. Mostly L and XL sized. Grab one while you can at our Tivvers and tea meetings (every first Sunday of the month from 11.00 to 13.00h)! It's no secret we are not a big fan of the 18-inch wheel 'upgrade' with ultra low profile tyres on Tuscans and Tamoras. Sadly, about 95 percent of customers did take up the option back when the cars were new, which led to Peter Wheeler's famous quip when queried by Mark Hales on the subject: "I know. 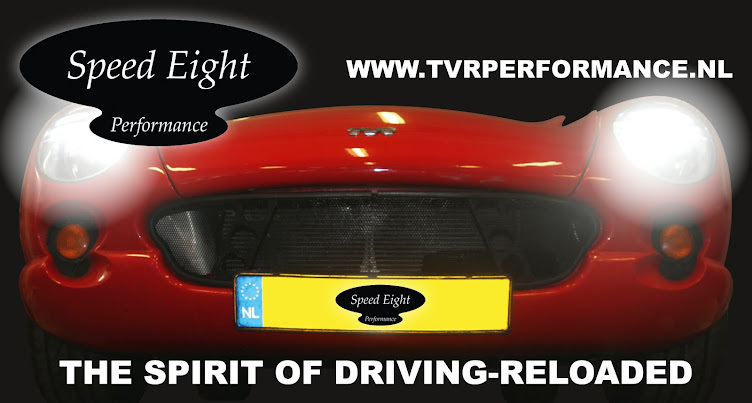 We spend lots of time setting our cars up, and then customers pay us good money to ruin them!" 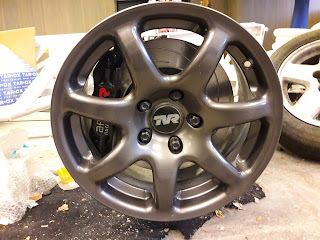 Of course, for people who can't live without the fashionable big wheel/ rubber band tyre look there's always the option of upgrading to SP12 wheels which at least deals with the high unsprung mass and incorrect offset issues, but there still is significant value in keeping the 16-inch wheels with 50/55-section tyree which helps calm down the razor sharp front end so it doesn't constantly threaten to overwhelm the rear, and generally provide a more feelsome and progressive experience. There's one snag: the bigger 322 mm brake disc from the Cerbera 4.5, Tuscan S and Red Rose models doesn't fit inside the 16-inch Spider wheel. Well, it does fit, but then you'll have a hard time turning the wheel! To provide appropriate braking capabilities for cars with upgraded power and/or cars that are regularly driven on track, we have developed a 315 mm option which is about as big as you can go, using a Tarox billet steel rotor on alloy bells. At around 7.0 kg, this 2-piece disc combination is lighter than either the single piece 304 or 322 mm discs or the 322 mm AP 2-piece discs that were specified on early 4.5 Cerberas and Red Rose Tuscans. 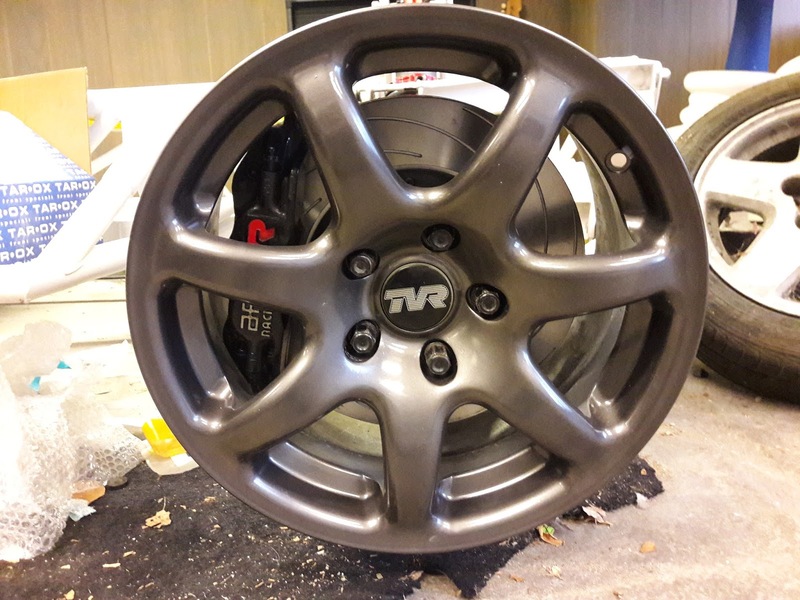 As seen in the pic, cars using the early AP Racing CP 5200 calipers and cast uprights can be upgraded too, provided you can get hold of the TVR C0936/0937 uprights (the ones we got from TVR Parts were the last pair they had in stock...).